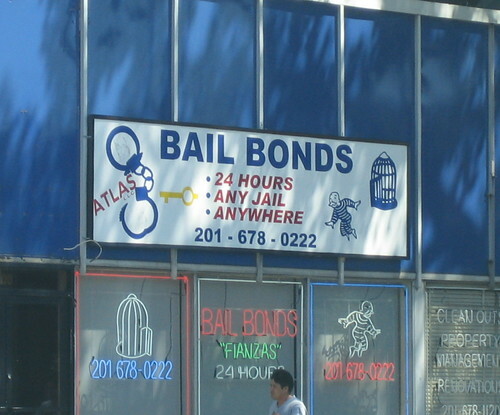 When you call a bail bondsman, the furthest thing from your mind is how much it will cost. Unfortunately, bail bondsman work in an extremely risky business, and that means they’ll need a lot from you before they can even consider posting bail. The entire process can run a few thousand dollars, and if you fail to fulfill part of your end of the bargain, your total costs can rise high into the thousands or even hundreds of thousands. Although the time spent with your family is well worth the price you have to pay, there are a few things you need to take into account before you commit to anything. In the event that the bond is made forfeit, the bondsman will either collect the property used as collateral, or they will use another method to recoup their losses. For instance, if you list your house, they can put a mortgage on it for the full cost of your bail. This only happens if you miss your court dates or fail to meet the bondsman’s conditions, but it’s an important consideration nonetheless. The long-term financial health of your family is at risk, and if for some reason the bond is not fulfilled, and the collateral you offered wasn’t enough to cover it, the bondsman can take you to court in an attempt to get what they’re owed. When you contact a bondsman to get you out of jail, you’ll need to pay them a certain percentage of the cost of your bail. The usual amount is between 10 and 15 percent, so if your bail is set at $5,000, you’ll end up paying between $500 to $750 to attain your freedom. This fee is non-refundable, so you won’t be getting it back. If you violate the terms of your bond, you will also be on the hook for any additional costs incurred by the bondsman when they hire someone to come after you. That includes their fuel, their time, their meal expenses and so on. Sometimes a bondsman will require more collateral from you than what’s needed to actually cover the bond, and there may be additional fees depending on the agency you work with. The good news is that if you can’t pay the fees all at once, most established agencies offer financing plans. While there’s always a certain amount of risk in using the services of a bondsman, you shouldn’t have any problems as long as you keep your nose clean. None of the money that you pay in fees will ever be given back to you, but considering the advantages the can be had from being out of jail, the price paid is well worth the gains in opportunity costs. Andy Silverman is a guest blogger for www.bailbondsman.org where you’ll find many of the answers to questions you have about bail bonds.